Ryan Plumb has ridden Sugar Sizzle, trained by his sister Angela, to victory at the Gold Coast. 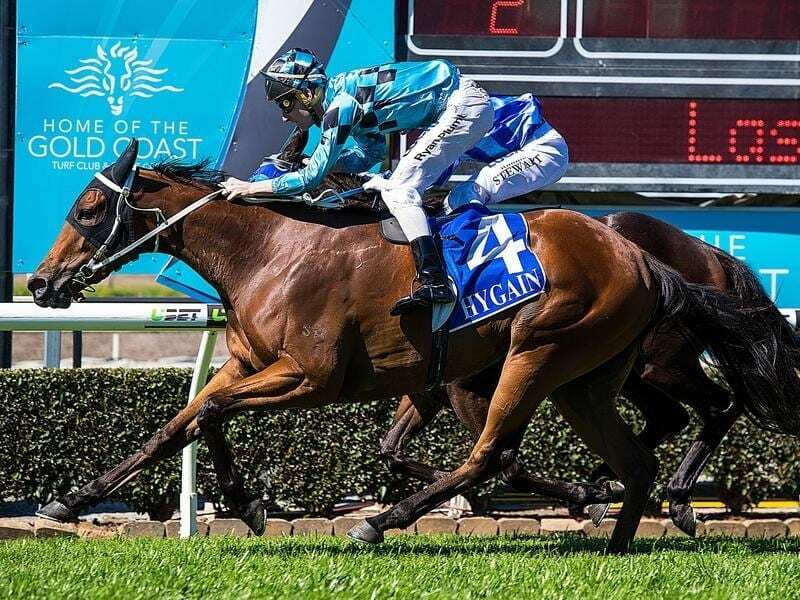 Trainer Angela Plumb and her jockey brother Ryan Plumb wrote themselves into a little piece of Queensland racing history when they combined to win the Oakwood Park Handicap at the Gold Coast. Angela and Ryan became the first Queensland-based siblings to combine for a metropolitan win in the state when Sugar Sizzle ($9.50) beat Red Doulton ($5) by a neck. Michelle Payne and her trainer brother Patrick won the 2013 Queensland Cup with Turner Bayou but they are based in Victoria. Angela Plumb has been training for about three years after starting off in Victoria where she originally worked at a pre training centre. But she returned home to the Gold Coast 18 months ago where Ryan was the leading jockey last season. “Sugar Sizzle is the only horse I have in work at the moment and there is room for a few more,” she said. “I went to university in China and which is how I got this filly for an Aquis Farms syndicate, through the Chinese connection. The Plumbs are the children of former top jockey Lyle Plumb junior and the grandkids of jockey-trainer Lyle Plumb senior. “Racing has been part of our family for along time and we support each other,” she said.